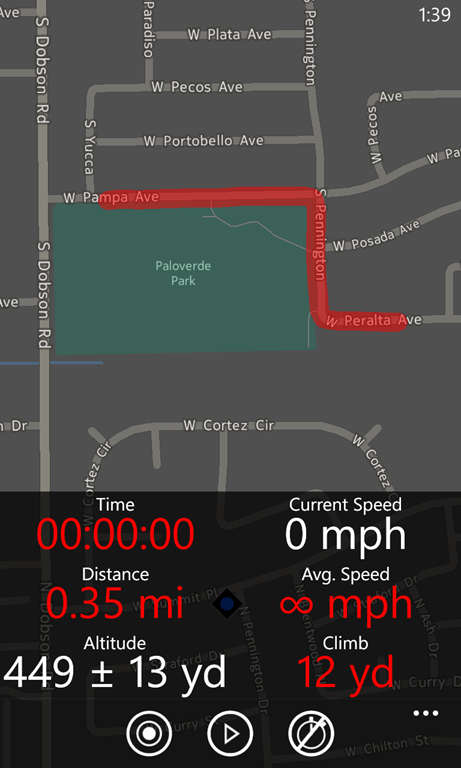 Walker is a Windows Phone 8 application for activity tracking. 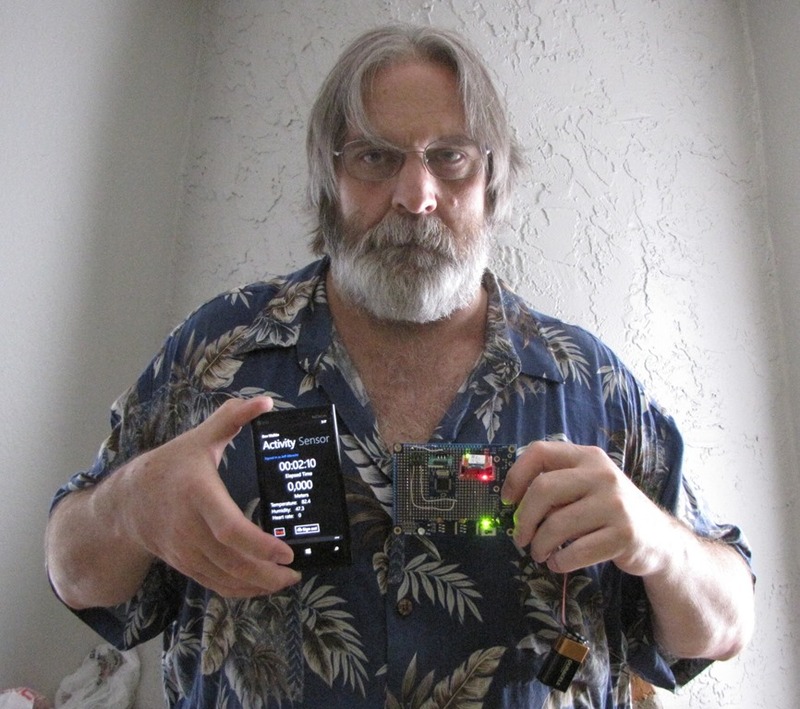 It uses geoLocation to record GPS data. It creates a .gpx file and saves to SkyDrive. 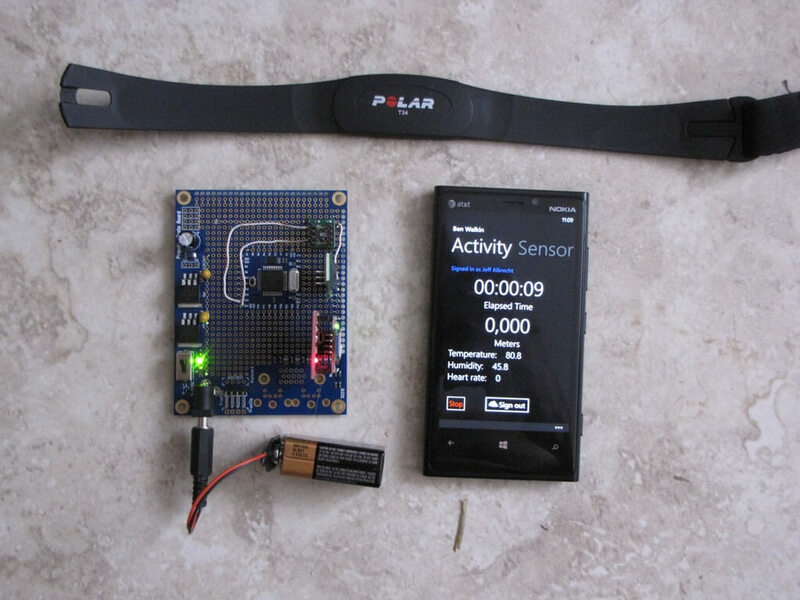 Sensor data created from a Parallax propeller with temperature, humidity and heart rate sensor data is sent to Walker via bluetooth. 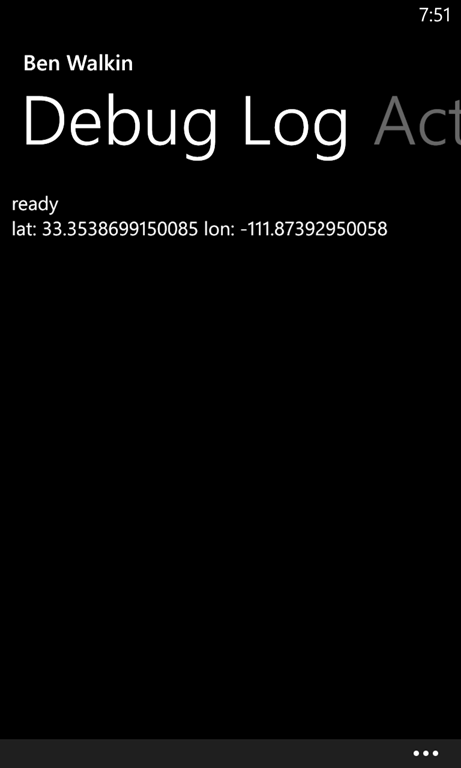 This sensor data along with summary activity data is persisted to Microsoft Windows Azure cloud storage. 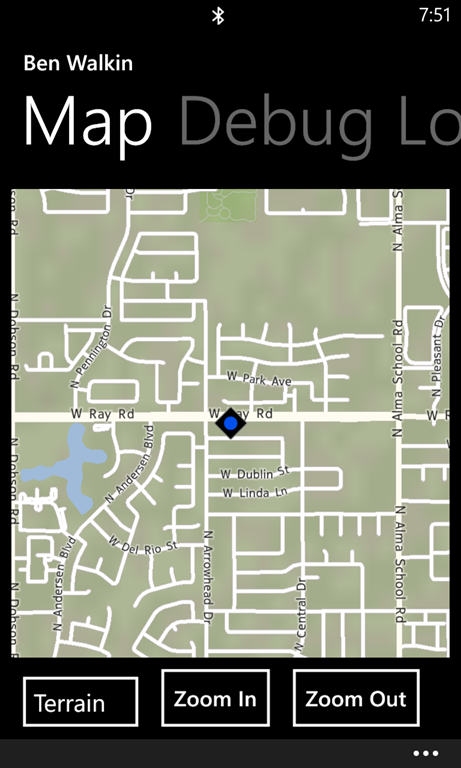 The .gpx file association in the windows phone allows a suitable gpx viewer to be launched to view the activity. This .gpx file can be visualized on many sites around the internet. For instance here. 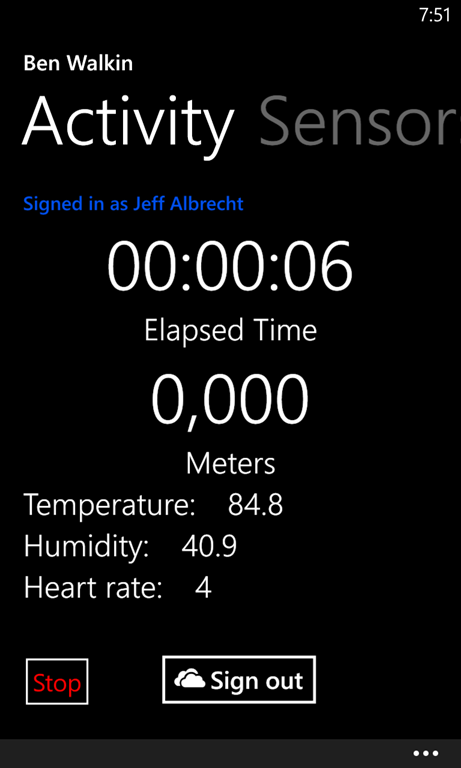 Along with my Right Weight Windows phone 8 and/or Windows 8 applications I use Walker to track my physical activities along with environmental and heart rate data as well as weight loss (or gain). 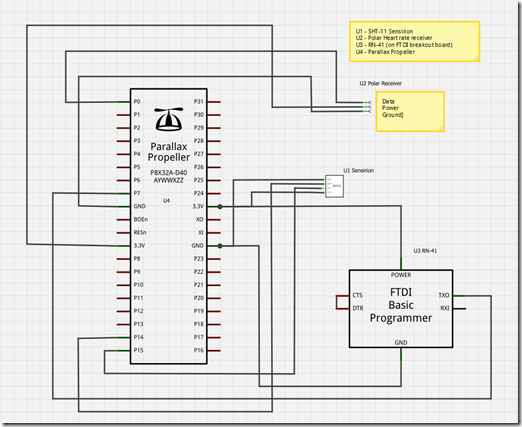 The Walker Sensor board is built on a Parallax Proto Board. It consists of a Parallax Propeller MPU, Sensirion Temperature and Humidity sensor and a Polar heart rate sensor receiver. The bluetooth connectivity is accomplished with an RN41-XV in XBee form factor on an XBee explorer. Sensor reading are updated every fifteen seconds. See source code for theory of operation. 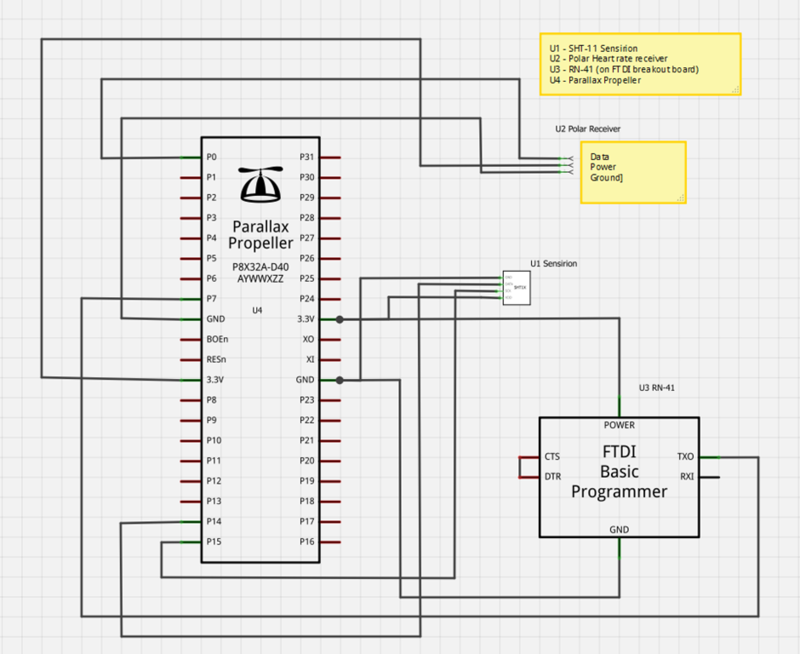 Walker-BluetoothSend Parallax .spin code for sensor data bluetooth send. Walker-Wp8 Microsoft Windows Phone 8 activity tracker. 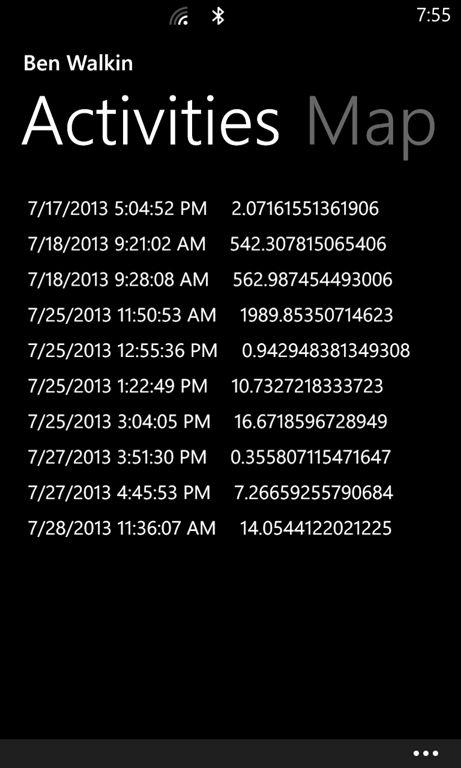 Previous activities from Azure cloud storage, displaying activity date and distance traveled. Map from .gpx file. 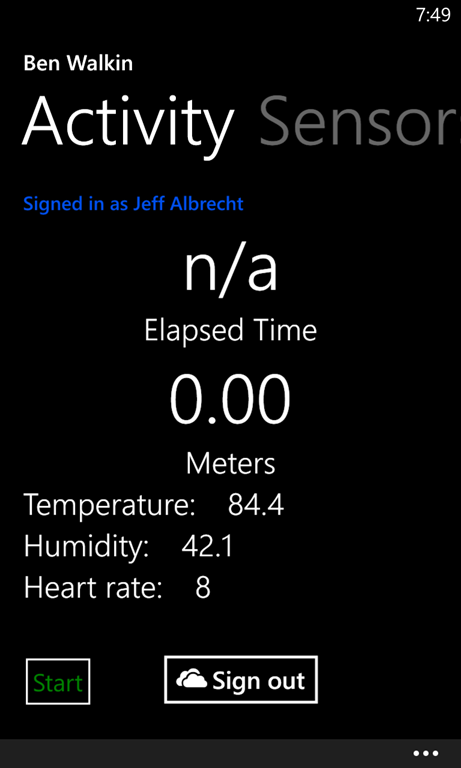 Normally would have an activity track of multiple geo locations. This is a single location. 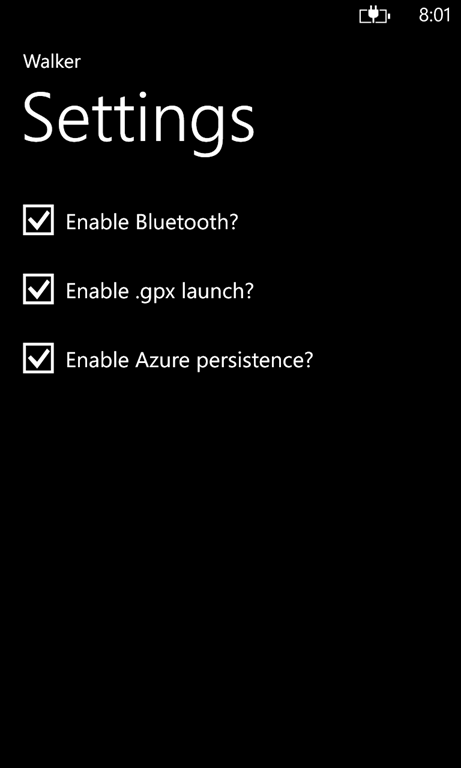 Settings page allows chosing bluetooth, .gpx launch and/or Azure cloud persistence. .gpx file association launch of GPXviewer.